I was looking at one of our roses yesterday and discovered a flower spider (Thomisadae) hiding in a rose. These maintain an anchor line but don’t spin a web to capture prey as other spiders do. It lurks between the petals and attacks whatever shows up. Often bees. Their two forelegs are long and useful for en-wrapping prey. 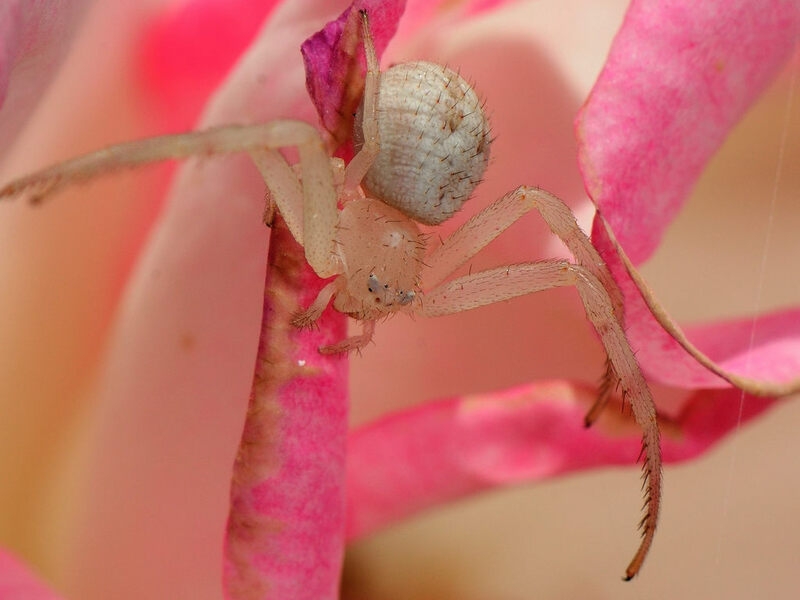 This entry was posted in animal behavior, Spider and tagged Flower Spider, Micro-Nikkor 105mm f2.8 VR, Nikon D90, Rose, Thomisidae. Bookmark the permalink. this is awesome picture !! how u get that ? !